We’ve deployed some refinements to the Environments section of Dropfort. 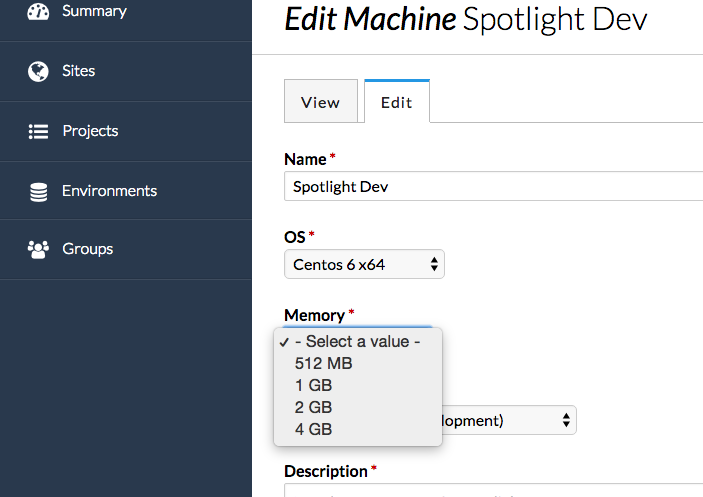 We’ve added the capacity to set the default memory allocation for virtual machines so you can control just how many resources your vms take up (this setting won’t have any effect on non-virtual servers). Finally, we’ve added more controls over PHP in your environment. 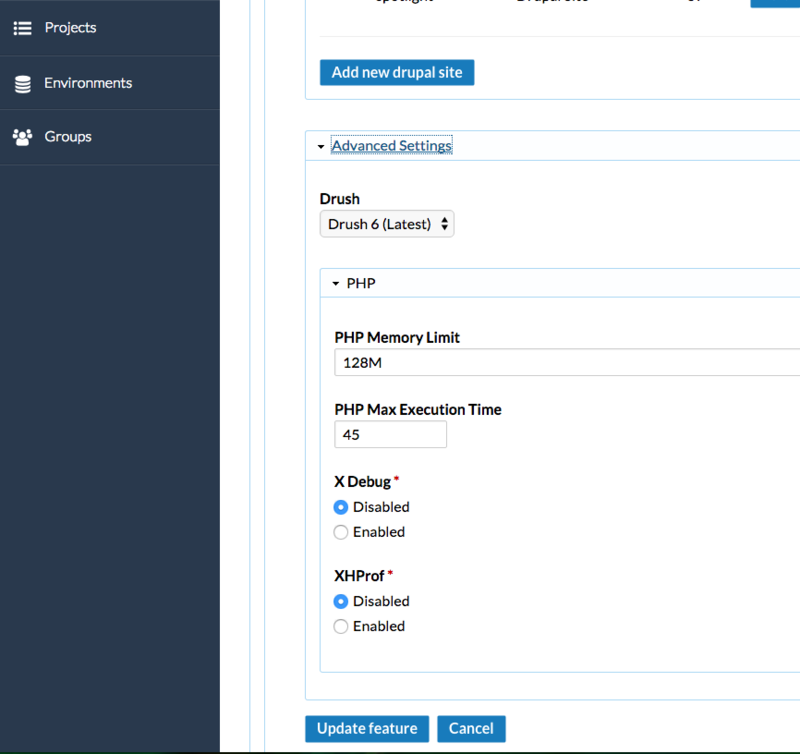 You can now set PHP’s memory limit and the max execution time. You can even have Xdebug and XHProf be installed and configured automatically for debugging and performance profiling. All the ports and configuration are ready to go. All you need to do is add the “XDEBUG_SESSION_START” parameter to your URLs and your remote debugger will automatically connect. You can find the PHP settings in the “Drupal” section of your machines under “Advanced”. We completely rewrote the PHP handling for the Dropfort Environments so we’ll be exposing even more controls over your PHP environment in the future. Hope you like the changes and as usual let us know if you’d like any other options added or find any issues. We’re also looking to make Dropfort even better!